Thanks for the pictures, Steve! It looks like it will be a cool place to hang out! We look forward to this trip. Now posted on the silverwing600.com forum. 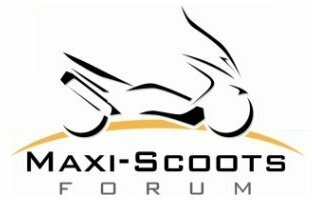 Many riders I communicate with are on both forums, but I mentioned membership in maxi-scoots.com is not a requirement. Steve, can you send me the nearest street address of the places above. Maybe this can be tied in with a few covered bridges Thanks in advance. Very neat, Maggie. I like the idea of the covered bridges and believe they would be a superb part of a ride. One of them, Johnson Bridge, is very short distance east of Knoebel's Amusement Resort. Another covered bridge is in the park itself. Knoebel's was the most memorable of the locations I had in mind but had not specifically mentioned in the "Centralia" thread. If time permits, the place isn't too crowded, and there's enough interest, a Steel Steeds' Rally "bumper boat" contest at Knoebel's would be a great picture and video opportunity. Knoebel's has no admission or parking fees, and motorcycle parking is right next to the bumper boats. It is also less than a half hour from Centralia. There are several more covered bridges near Catawissa and Bear Gap, towns we passed through several times this week. The other locations I had in mind were primarily potential lunch stop locations. Well just so that we can make it, we went out and purchased a "new-to-us" 30ft Fleetwood Bounder motorhome. All I need now is a trailer that can haul a Reflex and a Helix -- otherwise we might just have 1 bike. Whooo Hoooo!!!!! Very cool Stu!! Awesome! Now that's traveling in style. Wow Stu, the rally really motivated you guys! Looks like a great RV. Steve I am so down with a bumper boat tourney!!! Ok, this may be silly question, but is everyone leaving Sun the 9th, or staying the night and leaving Mon? Is it wrong of me to be completely excited about this? I think most will leave on Sunday... Pete and I stay Sunday then head home Monday. Pete and I plan to get there early Thursday. That will give us Thursday night to hang out, Friday/Saturday to ride and hangout. Matt, I am totally excited! I can't believe we have to wait a year! Also I think we need some name for this... so you creative guys get going. Something obviously with Maxi Scoot in the name. Then we can work on tshirts etc.. I have a call in to rent a tent cabin. (He has not yet returned my call) Want to try one out just because. I did the math & figured it would cost me approx $900.00 just in gas to take our motorhome. So pulling our scoots behind our Buick Rendevous is looking pretty attractive. Plus we might just take in the STO rally if the dates line up. We're really pumped up about this!! If so, then we're both wrong! Thanks! This route planning is getting very interesting and detailed. We have a tent cabin reserved! Since we have never spent any time in the area we're staying a few extra days. Unless gas prices change for the better. Then we may take the MH. A friend of mine says theirs a place called the Grand Canyon of the east close buy. Maybe worth a ride over their? Glad to read this great news of your stay at Steel Steeds! Pine Creek Gorge is often called the Pennsylvania Grand Canyon. Slightly less than two hours north of Lewisburg near Wellsboro, it's not far from the New York state line and definitely worth a visit. We have a reservation in a trailer. Diane is terrific to work with. For those thinking about a reservation, she says they will not take deposits until 2012 so it's earned in the correct year. Looking forward to this trip! You have picked a great place to have a meetup/rally. Lots of beautiful countryside to ride through. I was in Milton a couple years ago meeting with the folks at Kuhns Log Homes. (Yes, I will build one some time hopefully soon.) I didn't ride that time, the weather wasn't good. What I can tell you is take your cold season gear along. The temps can drop dramatically (especially at higher elevations in the area) in a very short time. Going to put this on my calendar too and hope to make the ride or maybe trailer my ride up there. I don't get it. Those who have small bikes I understand them taking the bikes on a trailer behind a car, truck or RV, but those with big bikes like Silverwings or Burgmans or even bigger why not ride the bike. If you take the bike to get there it becomes part of the adventure. I guess I don't see much adventure in going across the country in something the size of a semi and I do see an adventure in passing semi trailers on a bike that's in Norm's words is "Like Wile E Coyote on top of an Acme Rocket". 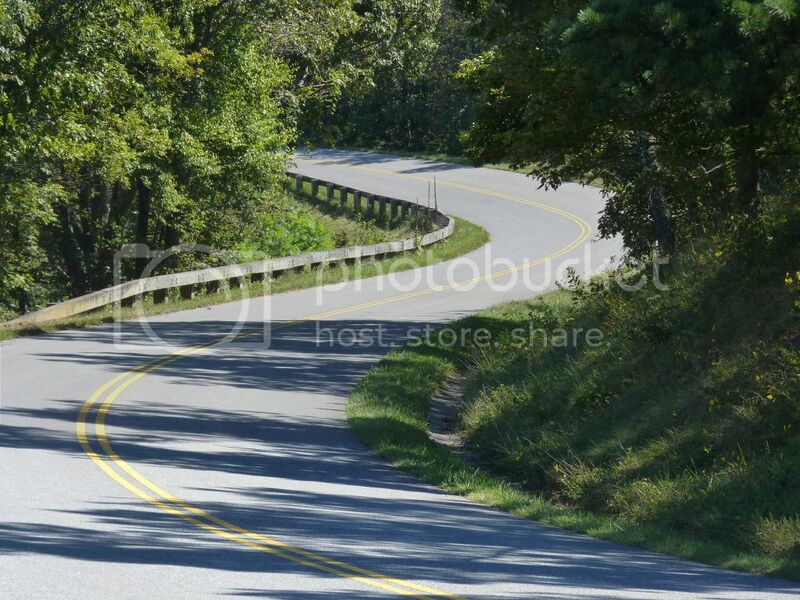 There is great riding in some of the areas on or not far out of the way for many of you. With a travel trunk Givi E 55 or such, your bikes can hold more then enough for this length of trip and many of you could plan routes with great riding along the way. If some of you wanted to meet in a location or locations not that far out of the way of Chicago, say within 200 or so miles, for the ride out and back, I'd get more interested. By the way, Norm, thanks for that quote. On Thursday an old friend that I hadn't seen for over ten years sent me a note with a check for $1,500.00. I had made a $1,200.00 loan to him in 1998 when money was easier and he was down on his luck. He couldn't pay it back in all these years. The note said that his 106 year old great aunt died and left him a bunch of money, and now he wanted to pay the loan back with interest. It was like it rained money. So making the story short as I can, On Saturday I rode up to Pleasant Prarie, WI where there is an outlet mall with a Johnston and Murphy Store with my buddy, who has a BMW R1200R and bought this pair of Johnston and Murphy Penny Loafers that I think are the most comfortable shoes ever made. I hadn't had a pair of them for years cause they're a $150.00. Anyway on the way back we got on the I 94 by a ramp with very sharp curves. He was in front and took the curves stand scrape fast. I followed him on my Silverwing as fast as I could. When we stopped in Gurnee for dinner I pointed out to him how fast he took those curves and that the pavement was grooved which is hard for the Silverwing. I was also telling him that as we came out of the curves I had to go full throtle and he was still getting away (that BMW is a fast bike). I was also telling him that grooved pavement is hard for the Silverwing and that there is a certain adreneline experience in driving the Silverwing at fast acceleration through sharp curves on grooved pavement using the sides of the tires. Anyway Norm's quote about Wile E Coyote came to mind so I told him it. He was laughing for five minutes and telling me stories about canyons in the greater Los Angeles area. Both about riding them this way even in the dark and about some people who had gone over the edge on crotch rocket type bikes. Sorry about the small hijack story Maggie. Pete and I would ride but we want to take the RV to have extra stuff plus a place to stay and it allows us some more time. If we find a larger trailer, Sandy from our club might go with us as well. Some of us have been down that road many, many times over our years of riding. In my 34 years of riding I've rode in everything from 100 degree+ weather to following car tire paths through the snow & everything in between. On small bikes to GoldWings. Some of us have put on to many miles in the rain & the cold & choose to stay warm & dry today. Some may have brides/girlfriends who will not ride the distance. We all know when mama's happy everyones happy! We're all different people with different ideas as to how we do our adventures. In my younger daze I thought just as you. "People don't get it! ride, ride, ride!" Now I'm older & have more than a few thousand miles under my belt. I get it! Hope to see you @ Maxi Scoot Rally 2012! Hey SilverBullet: I think that I may have used more disrespect then I intended and if so, sorry. Midlifecrisis, I wouldn't think of it from the UK. Maggie, I thought you would say that as an organizer, you need to bring and do too much. On the other hand, just to set things straight, I'm no spring chicken, going on 56. It's just that these days I see things that make me crazy. I think first on my list is the people with big engine expensive bikes that ride without any gear and even worse that take passenger especially women that I think are wive or girl friends with no gear while they have gear. Second by a lot are big road bike on trailers. Here is this bike crying to be ridden on the back of a truck. I do know that everyone needs to ride their own ride, both n a bike and in life. It's easier for me being divorced to get on my bike and decide to ride, but I lose the companionship of marriage.